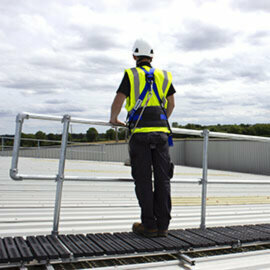 This modular multi-tasker provides the highest level of collective fall protection for work at height. 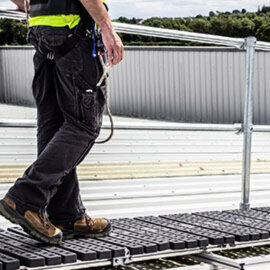 Comprising of a anti-slip walkway and galvanised steel or aluminium uprights, Kee Walk is easy to install and will last a lifetime. 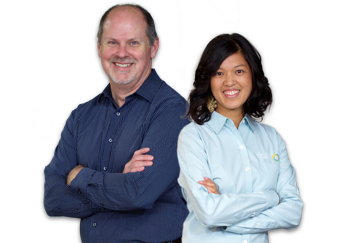 Just see for yourself. 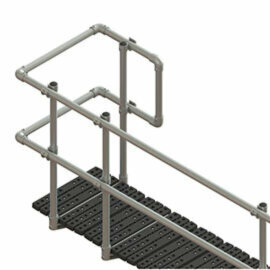 Kee Walk with handrail is an anti-slip walkway system that allows users to access roofs safely. 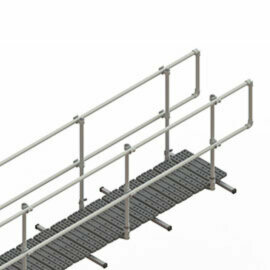 The system can also be used as a collective fall protection solution when installing handrails on both sides. 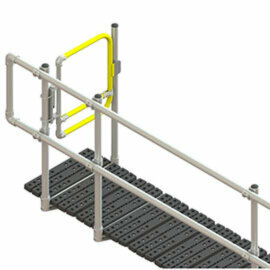 Users do not need special training to use the system: the walkway can be accessed using standard PPE with no special requirements. 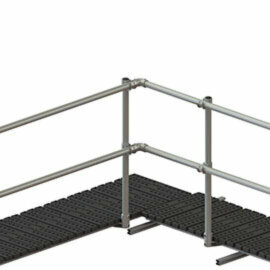 Kee Walk is modular and can be customised to suit a series of roof layouts: add handrails on both sides or just one, end the walkway in a closed loop or add self-closing safety gates where necessary. 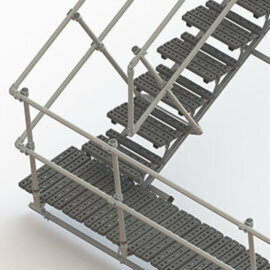 See our gallery for examples. 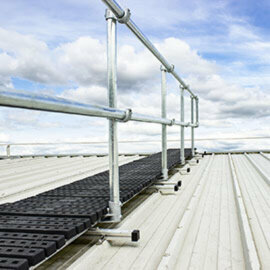 Kee Walk is designed for use on roof pitched of up to 35 degrees. 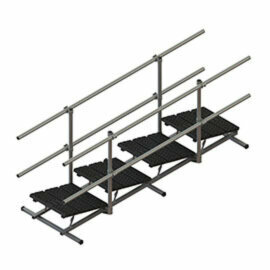 The system is quick and easy to install. 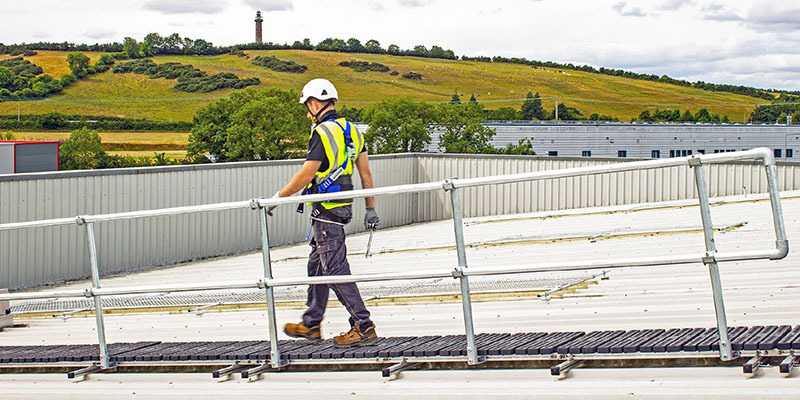 Kee Walk was designed to meet Global standards, and has been tested to prove compliance with your local and national codes. 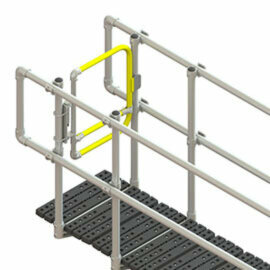 The walkway is CE approved. 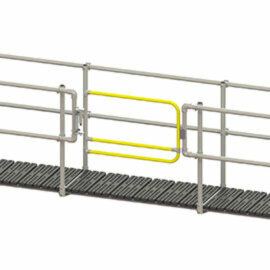 The integral guardrail complies with BS EN14122 Part 3, BS EN13374 Class A and OSHA 1926.502. 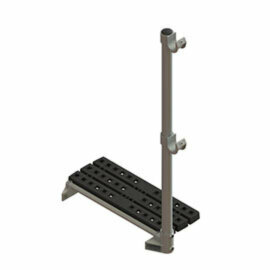 The Kee Walk with guardrail system uses glass fibre reinforced nylon treads which are Fire Rated to Class HB of UL94 (Harmonised with ISO 9772). 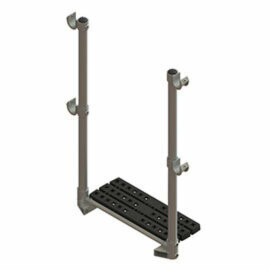 The system has been tested to provide Slip Resistance Compliant to BS 4592. 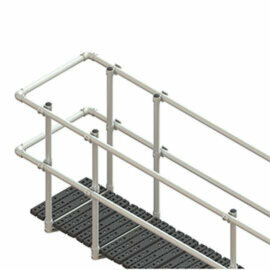 Interested in our rooftop walkway system with handrail? 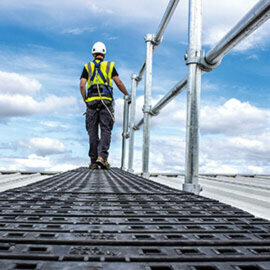 Get in touch for a quote.